The winner of this national series will take home the largest purse in the history of golf in Mexico—1.5 million pesos. The Open will serve to give competitors the exposure they need to secure a place in the PGA while benefitting tourism in the different host cities, as it is being taped for a reality show for Univision. 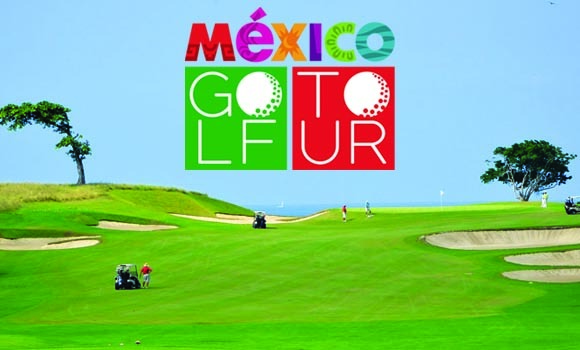 The Riviera Nayarit Open will be played on the Litubú Golf Course from September 10-13, 2015, marking the third stop in the Mexico Golf Tour series organized by Alazraki Sports in combination with the Mexico Tourism Board and with the support of the Riviera Nayarit Convention and Visitors Bureau. The event will be held with 78 players at each of the ten host locations during its first season; most golfers are from Mexico, but there are a few from the United States, Argentina, Spain and Brazil. The 1.5 million peso grand prize for the winner is the largest in the history of golf in Mexico. The event also provides the players with the showcase for them to elevate their ranking in order to become part of the PGA (Professional Golf Association). During the Open, a team from Univision will be taping a reality show to be aired further down the road, the first time this tournament will be on TV. It’s an excellent opportunity to highlight the natural beauty of each host destination, in this case, the Riviera Nayarit. The host destinations for this tour, which lasts from August through December, 2015, include: San Miguel de Allende, Mazatlán, Riviera Nayarit, Acapulco, Tampico, Riviera Maya, Campeche, Baja California, Valle de Bravo and Mexico City.